Cozumel is an ideal destination for diving. Made famous by French oceanographer Jacques Cousteau, who visited the island in 1961 and declared it one of the most spectacular locations for diving, Cozumel attracts large numbers of water sports lovers every year. Our excursion takes us to two of the most beautiful diving sites in Cozumel, which can vary according to weather conditions and the level of experience of the guests. There is a one-hour break between the first and the second dive. Whatever the area, it will be a truly unforgettable experience. Cozumel is also the location of the largest coral reef in the northern hemisphere. Canyons, caves, underwater cliffs and the white sandy floor populated with colourful flora and fauna, which prosper thanks to the current, which is always present yet mild. This excursion does not include a guide, but a diving instructor will be present. You must present a valid diving license (PADI, NAUI, SSI, NASDS, CMAS or equivalent). Diving equipment provided, diving suit not provided. Only those who have a scuba diving license, who have dived or taken part in refresher courses over the past 24 months, can participate in this excursion. 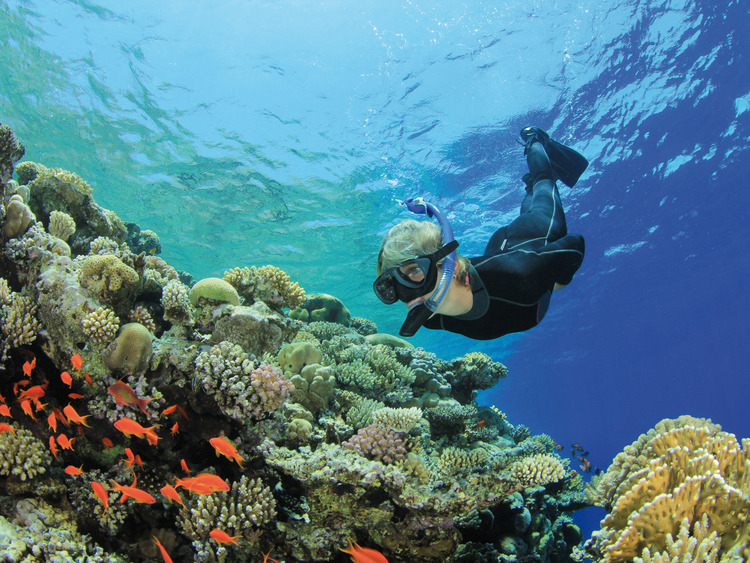 In compliance with PADI standards and regulations, guests who declare having health issues must present an authorisation letter issued from their doctor in order to participate in the excursion.